Digital display and magnetized back with clip. 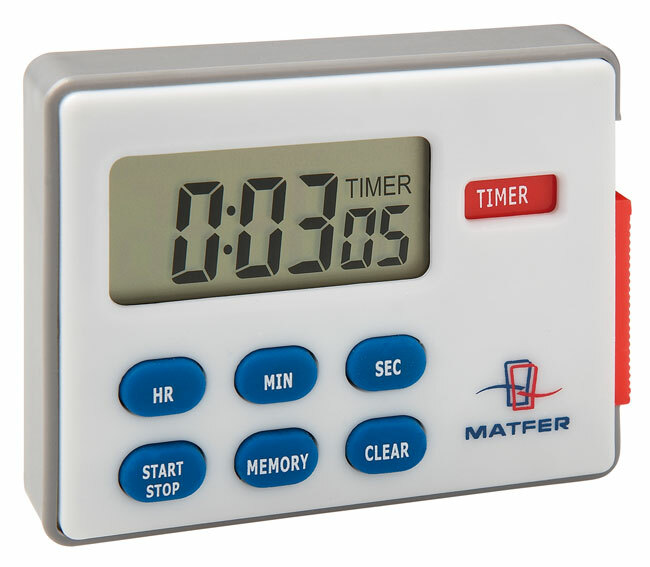 3 functions: - seconds countdown timer - stopwatch - 24-hour clock. Supplied in a blister pack.